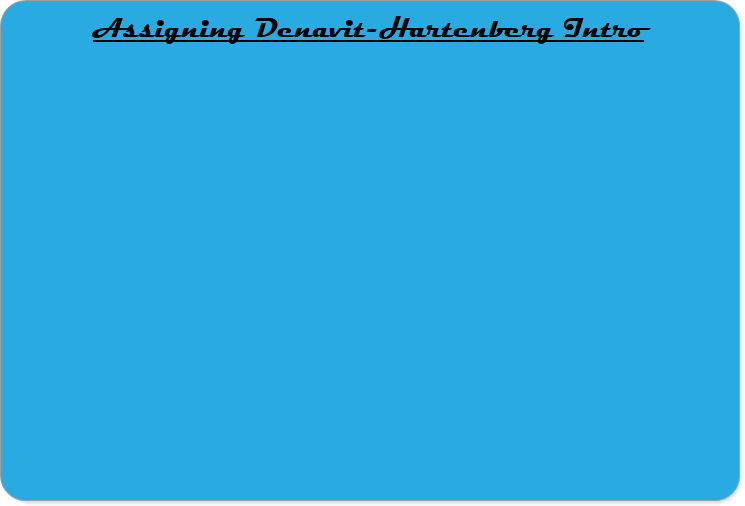 In this video, you are introduced to a method called 'Denavit-Hartenberg' for finding the Homogeneous Transformation Matrix for a robot serial manipulator. In this video, you are given the four rules for assigning frames according to the Denavit-Hartenberg method for forward kinematics. 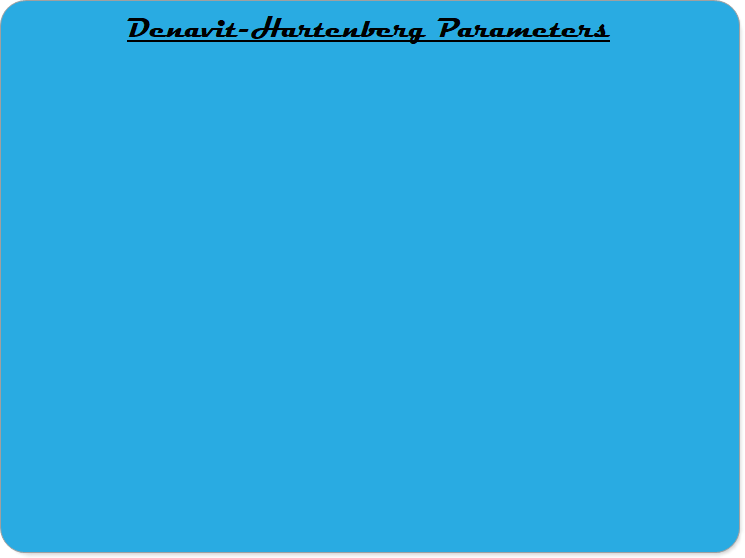 In this video, you are given the definitions of the four Denavit-Hartenberg parameters, and one complete example of finding the parameters for a 3-degree-of-freedom manipulator. 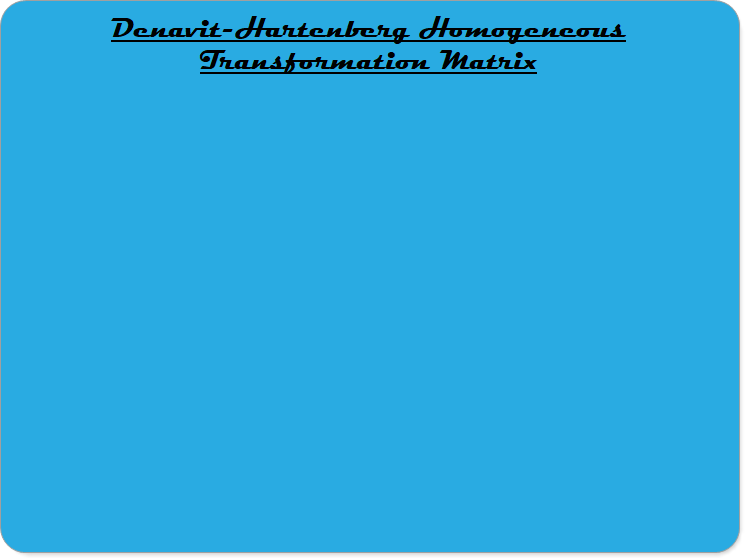 This short video shows you how to get the homogeneous transformation matrix from the Denavit-Hartenberg Parameter Table. This interactive video will help you check your understanding of assigning Denavit-Hartenberg frames and finding the Denavit-Hartenberg parameter table.